The Conical Fermenater is a beautifully designed product for the mini discriminating brewer. 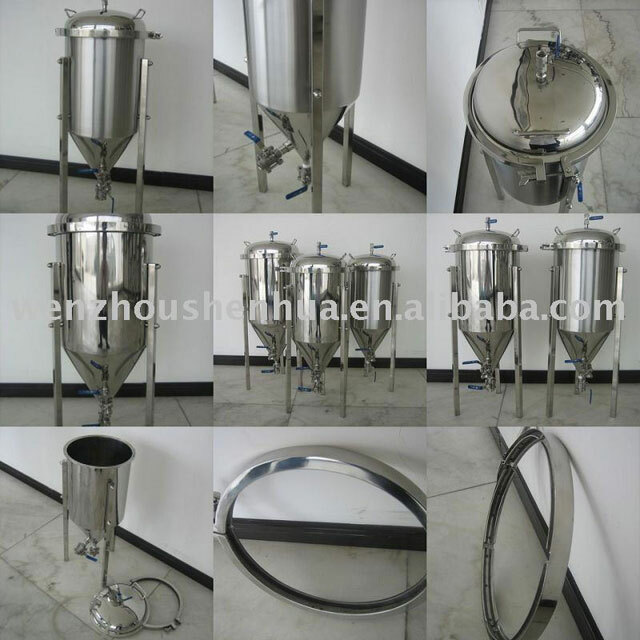 Its features provide commercial brewery functionality at a consumer good price. It is easy to use and loaded with standard features. 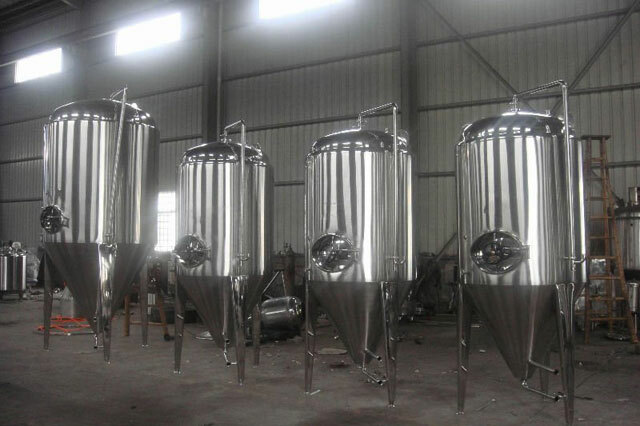 The standard capacity of 5Gal( more than 10 pieces), 7Gal(more than 8 peces), 14.5Gal, 27Gal Sizes are perfect for home brew use with batches, 3-piece ball valves, 100% Stainless Steel. The Fermenater is the only weld-free interior fermenter on the market. Rotating Racking Arm is standard equipment! ! Just like the Craft Brewers huge conical fermenters. This feature allows you to start your siphon with the racking arm horizontal, and rotate it slowly downward until you just start picking up yeast sediment. Clearly the best and only way to siphon clear beer or wine!